Currently resides: Nanoose Bay, B.C. 1. His father, Eddie James, was a member of the 1935 Grey Cup champion ‘Winnipegs’ and went by the nickname ‘Dynamite’. James was then dubbed ‘Kid Dynamite’ when he rose to fame with the Bombers. Both men are in the Winnipeg Football Club, the Canadian Football Hall of Fame and the Manitoba Sports Hall of Fame and Museum. Gerry James was also inducted into the Saskatchewan Junior Hockey League Hall of Fame. After retiring from football he owned, managed and coached the Yorkton Terriers and also coached with Melville, Estevan ad Moose Jaw after initially coaching in Switzerland. 2. James was a running back and placekicker after first making the club at age 17 and while still in high school. James was the Bombers leading scorer in 1960, 1961 and 1962, led the team in rushing in 1954, 1955 and 1957. He still ranks fourth on the team’s all-time touchdown list, is fifth all-time in rushing and scoring. 3. 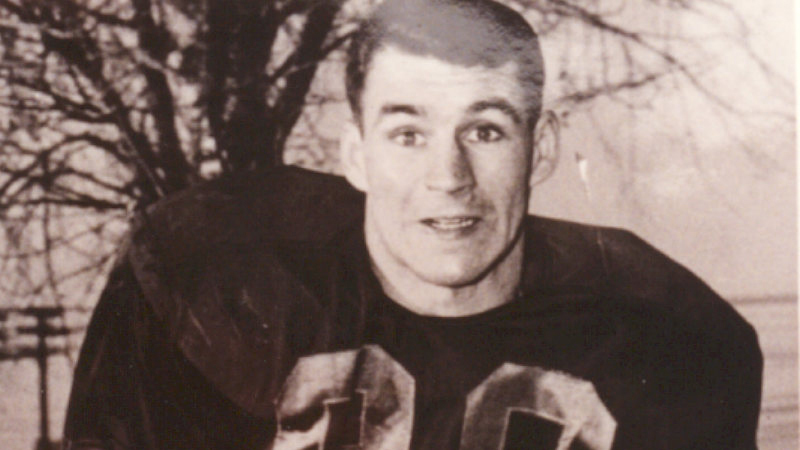 James appeared in six Grey Cups and was part of four championship teams in 1958, 1959, 1961 and 1962. He was the first winner of the CFL’s Most Outstanding Player Award, first presented in 1954, and captured it again in 1957. 4. 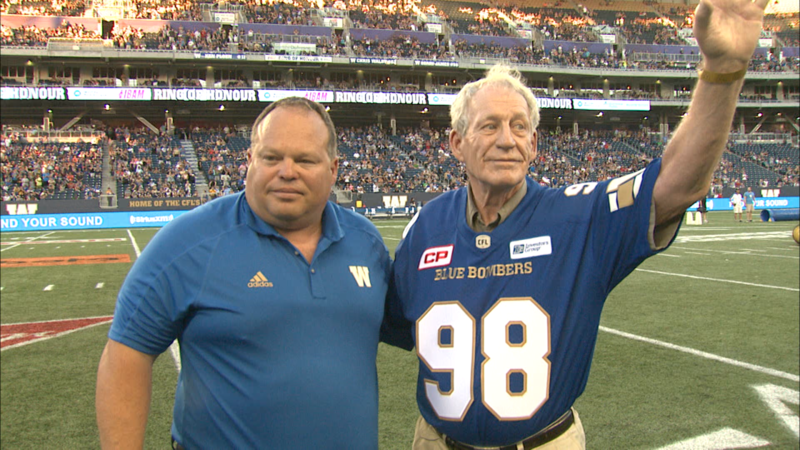 In 1957 James set a CFL and Bombers record with 18 rushing touchdowns. The CFL record stood for 43 years and still stands as the best in Bombers standard. James had 19 touchdowns that season, a mark that wasn’t broken until Milt Stegall had 23 in 2002. 5. James also starred as a hockey player. He helped the Toronto Marlboros capture the Memorial Cup in 1955 (after leading the Winnipeg Monarchs to the final in 1952) . He made his NHL debut with the Toronto Maple Leafs at the Montreal Forum in 1955 on the team’s top line with Ted Kennedy and Sid Smith (Eric Nesterenko was injured) and would appear in 164 games over five seasons. James is the only athlete to suit up for both the Grey Cup and Stanley Cup finals in the same season (1959-60).